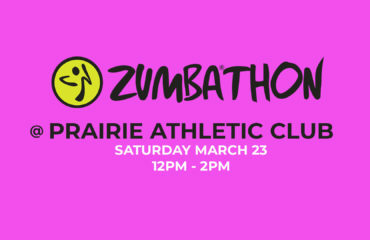 Prairie Athletic Club has programs for all ages and abilities. Choose the program that is right for your child TODAY! Don’t miss the Fall Session II Registration Deadline! 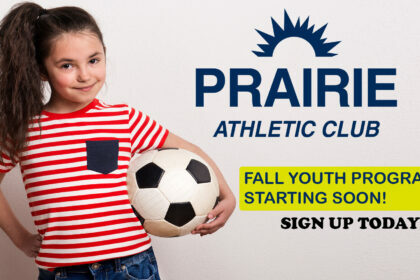 Prairie Athletic Club Soccer will focus on skill development, basic ball skills and teamwork! The focus is FUN! Youth will work on basics including dribbling, shooting and passing. Develop your skills through fun games! 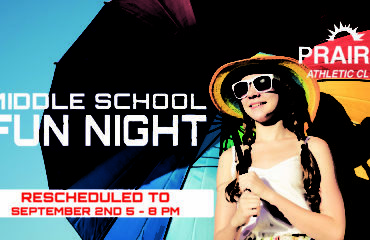 Join us for a fun, themed class with parent child participation including art, music and movement activities. Immerse your child in different activities and multiple sports to become a well-rounded athlete. Enhance tumbling skills, balance and teamwork! This coed class provides volleyball basics through skills, drills and skill-based games. Pairing fitness with fun, our program is a great base for kids to carry into other sports and helps introduce fitness as a lifestyle. The benefits of our program are long lasting for your kids! Help your child achieve their athletic potential! Our mission is to create a well-conditioned and well-rounded athlete. Racquetball is an outstanding way for kids to get a workout while developing hand eye coordination!